With so many mouthwatering boulangeries to choose from this is a difficult decision. One I know well, and my favourite in the Gambetta area for a breakfast choice, is Au Bon Pain a lovely boulangerie on Rue St Philippe just south of Rue Dante. Join the queue there for a wide and appetising range of sweet and savoury delights. It’s closed on Sunday afternoons and all day Monday – so that’s the time to try La Fragola on Rue Dante which is my very close second choice. In the centre near the pedestrian zone you used to be able to find the soft green exterior of boulangerie Multari opposite Place Magenta on Rue de la Liberté at the intersection with Rue Alphonse Karr and Rue de Longchamp where you would be spoilt for choice among the amazing selection of breads and pastries. 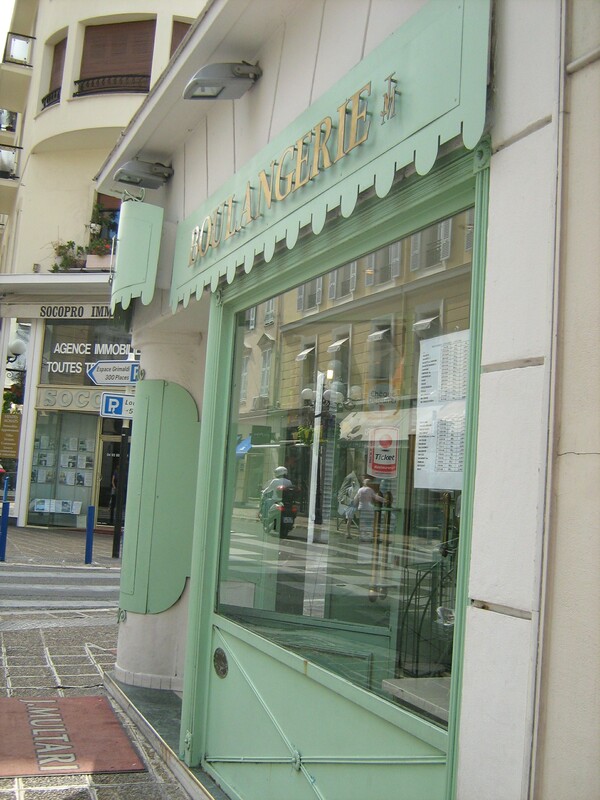 Let me know if you have tried any of these boulangeries – and do share your own favourites! 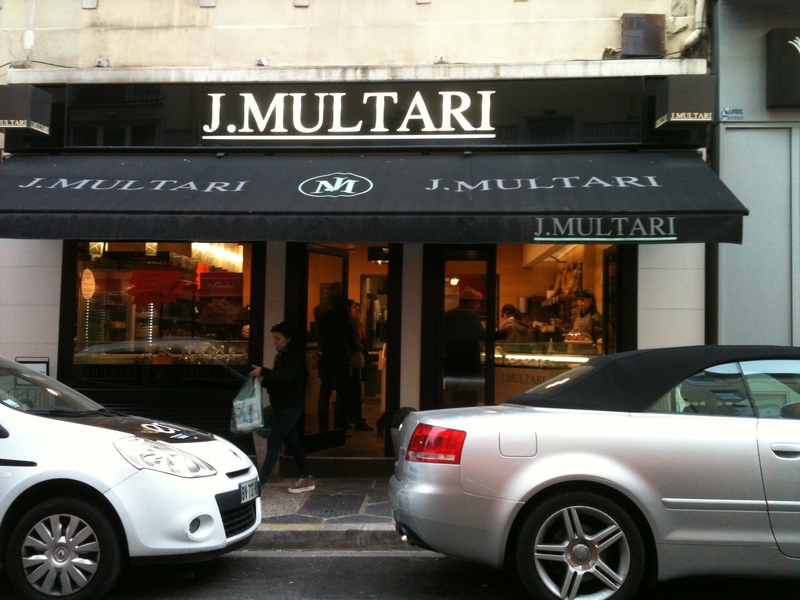 This entry was posted in boulangeries, food. Bookmark the permalink. 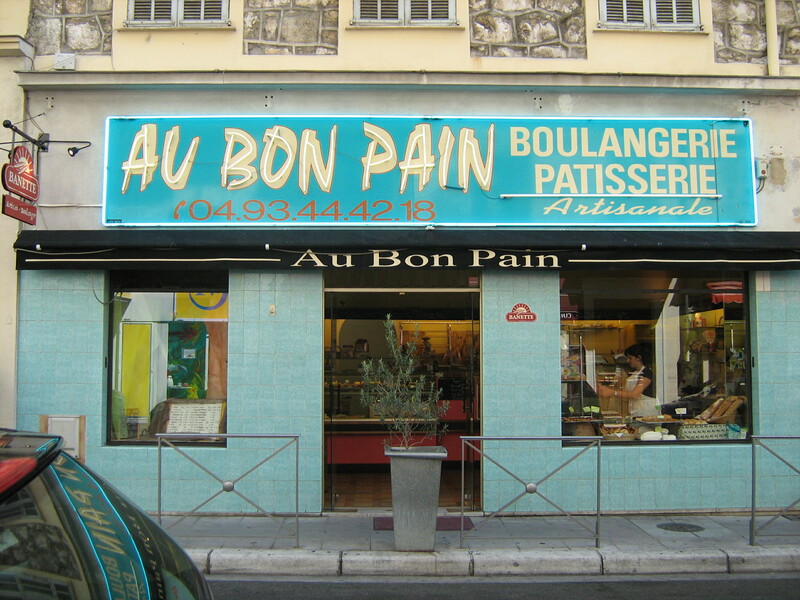 Nice has such a fantastic range of boulangeries, Au Bon Pain is one of my favourites too. I also like stopping at Intermarche on Gambetta on the way back from the Promenade, as they do a lovely toursade/suisse lange which aren’t always the easiest to find! Yum, lucky you! I’m very fond of a croissant aux amandes!